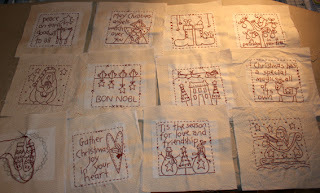 Now and then I've been stitching on my "T'is the season" stitcheries, and all of the sudden I am on the last one! Yeey! 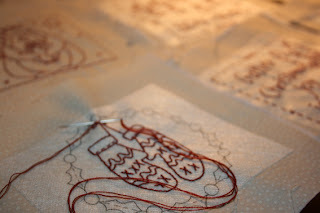 I've used Trasfer Eze for these, and I have to soak them in water to get it off. A couple of other things I'm druling over tonight...... Urban Cowgirl Jelly rolls and charmpacks just came in at the shop..... LOVE them!!!!!! 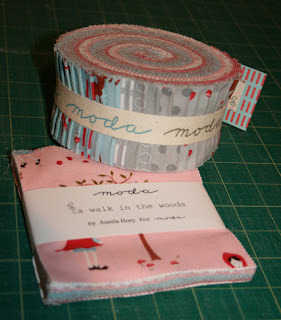 And "A walk in the woods" also came in the other day- super cute!!!! So tonight I just HAD to sew something.... 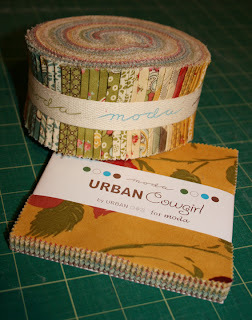 Started on these easy blocks using the charm pack and jelly roll- and I am having FUN!!!! 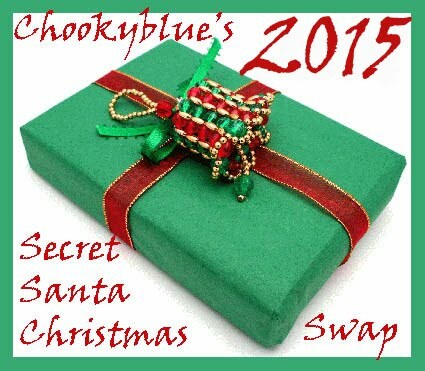 It's beautiful and you will have something lovely to take out at Christmas... again and again. You are very early. 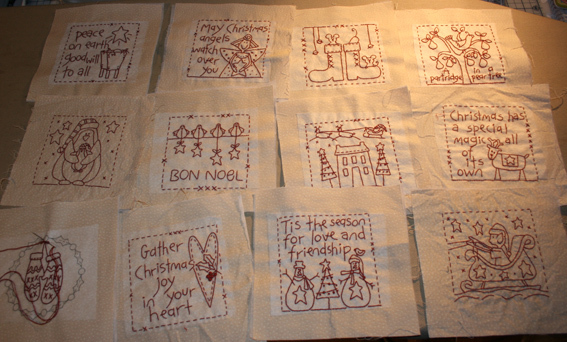 This Saturday is the first Christmas Sew-along. 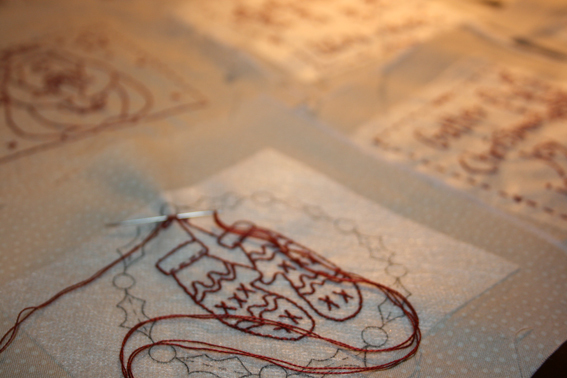 You could participate and work on the quilt.